1. It is standing in the gap or praying on behalf of a person who needs help, and in many cases, for whom Satan is trying to destroy. 2. It is praying for those whom God has given to us—for those whom God has put on our heart; most often it is for those whom we have a ministry with. 3. It is a particular kind of prayer that demands our unselfish devotion to God, to a pure life, and to those whom we pray for. It demands our willingness to loose ourselves for others and for the will of God. 4. To be an intercessor we must feel a concern and a responsibility for those we are interceding for. We must associate with their sins and their needs. 5. The prayers of an intercessor must be bold, stubborn, unceasing and persistent. 6. Intercession is appealing to God’s mercy for another and it is basing His requests not on his own merits but on God’s compassion and His faithfulness to keep His promises. 7. When an intercessor prays, he prays with a high view of God. He is always concerned for God’s name and for His glory. 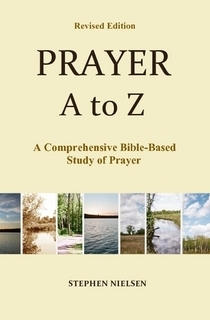 This entry was posted in Intercession -- Parts 1-3, Prayer A to Z Excerpts and tagged intercession, prayer, Satan. Bookmark the permalink.